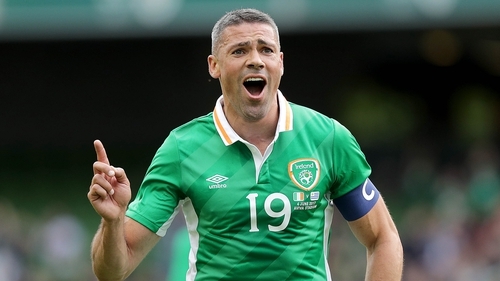 Republic of Ireland forward Jonathan Walters looks set to return to former club Ipswich on loan from Burnley. Walters, who turns 35 next month, scored 30 goals for the Tractor Boys in a three-year spell from 2007 to 2010 before moving to the Premier League with Stoke City. He left Stoke last summer for the Clarets but has made only a handful of appearances for Sean Dyche's side and is now to set to drop down to the Championship in search of regular football. Walters posted a picture on Instagram this morning appearing to show his satellite navigation system pointing towards Ipswich with the caption 'Take me home country roads'. Ipswich boss Paul Hurst, who succeeded Mick McCarthy during the summer, is also believed to be interested in a move for veteran Northern Ireland centre-back Gareth McAuley. McAuley is available on a free transfer, having left West Brom at the end of last season. On Wednesday, Burnley manager Sean Dyche indicated Walters could be on his way out of Turf Moor: "There's talk of Jon (Walters). A couple of clubs have been in contact, so we'll see where that goes." Walters' international colleague Andy Boyle could also be on the move. The centre-back has been linked with a loan switch to Scottish Premiership side Motherwell or League Two outfit Notts County, who are expected to appoint former Leeds and Liverpool star Harry Kewell as manager. Boyle's Preston team-mate, former Irish underage international Kevin O'Connor, joined Crewe on loan yesterday.